Tushie Tuesday is getting pushed to Thursday again this week...I planned on reviewing our AMP diapers buuuutttt then I realized that they are all on the line drying and I don't have any pictures of Emmett wearing them! Ooops. Emmett turned 8 months old yesterday. I can't believe how fast the time is going. Emmett has discovered his speed recently and loves to motor! I fear that we may have a walker on our hands sooner than later. These are the items that Emmett uses or we use on Emmett everyday. Because we use BLW we generally just strip Emmett down to eat and put him in the tub when he is done. When we do leave him dressed these bibs are great! They have a catcher at the bottom for the pieces that miss his mouth and are super quick to wipe down! Emmett uses this every single day! Other than a few stuffed animals he clobbers daily this is probably his favorite toy. He loves to use it to help him stand. He also loves hitting the drum in the middle and watching the colours. Anything that can make the house safer!! Emmett is getting into EVERYTHING these days. We recently purchased cabinet door locks, safety bumpers for the sharp corners of the coffee table and outlet covers. I'm sure we will be adding to this collection soon! I use these for everything! Which is why I have so many sizes. From holding dirty diapers, wet swim suits, snack bags to Mama Cloth we use these as a family every...single...day! Yeah...I'm serious. Emmett does not enjoy having his diaper changed lately. Give him a lint brush to play with and he's in heaven. He also enjoys having it brushed over his body. Weird? Yup. Do I care? Nope. Bad, bad, BAD CD Mama. CD do not keep Emmett dry overnight. No matter what combo I try. Regular disposables do not keep Emmett dry overnight. These guys do. He also sleeps long, long hours when wearing one. We both function better on a good nights sleep. Sue me. Emmett poops a lot. It's changing texture and grossness every day. These are gold. This Canadian company made our list last month too. They are here again because they are just plain awesome!! We use the baby soap, baby balm (CD safe cream) and powder daily. I also use a bunch of the products for me too! 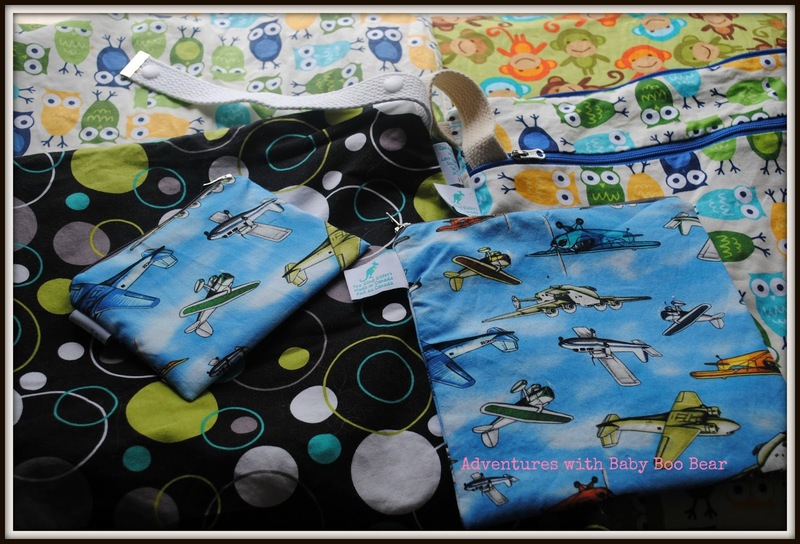 It's amazing how much "must haves" change in just 3-4 short weeks in the life of a baby! !